It feels like “a month of Sundaes” lately with all our ice cream holidays. We’ve also celebrated fudge three times now. 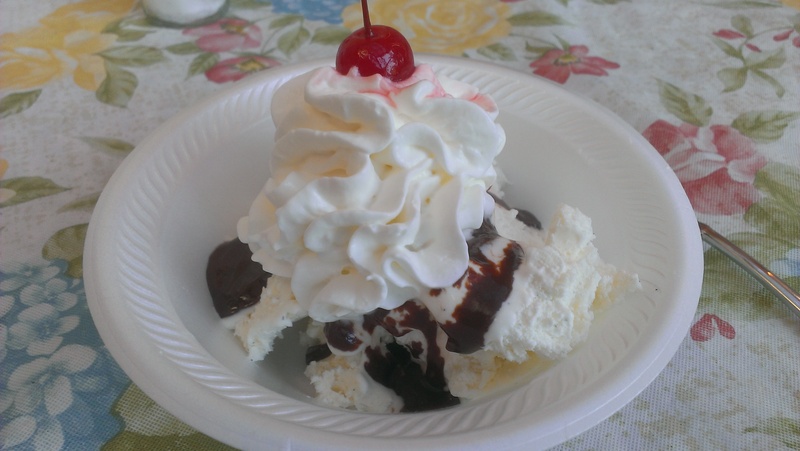 So, it’s kind of fitting that July 25 is National Hot Fudge Sundae Day! 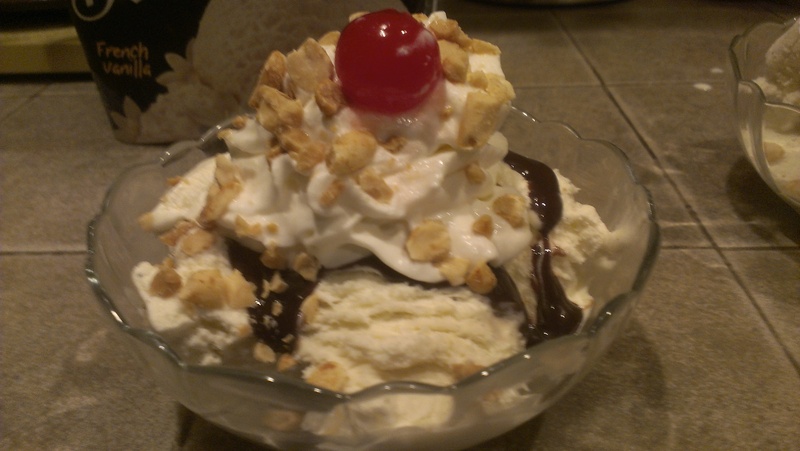 We’ve already talked about the history of the sundae. While there is some debate over who invented that particular ice cream dish, there is no dispute over today’s flavor. Los Angeles candy maker Clarence Clifton Brown opened an eatery named C.C. Brown’s in 1906, where he would serve ice cream with a little flask of molten chocolate customers could pour over the top. According to legend, Brown was constantly tweaking the recipe, changing the formula every day for 20 years until he had the perfect flavor and consistency. In 1929 he moved the business to Hollywood, right down the street from Grauman’s Chinese Theater, and it became a celebrity hotspot. With turn-of-the-century retro decor and homemade ingredients, the hot fudge sundaes become popular with stars like Mary Pickford, Bob Hope, and Joan Crawford. Marlon Brando was so enamored of the sundaes that he would go inside, place an order, and take his sundae back to the limo to eat in order to avoid the prying eyes of tourists, while his family stayed inside the restaurant and ate theirs. The business closed down in 1996 but the name lives on – as does the hot fudge sauce, which can be purchased through the Lawry’s website. You just may float on a happy haze when you celebrate today’s perfectly summery food holiday. June 30 is National Ice Cream Soda Day! June 20 was also National Ice Cream Soda Day, so I suppose if you didn’t get your fill back then, today’s your encore. We chose to celebrate the vanilla milkshake on that day instead so as not to repeat ourselves. Just to keep us on our toes, there’s also a National Root Beer Float Day coming up in August. Knowing that, we should have opted for something a little more unique today, but laziness got the better of us. Ice cream sodas, or floats, go by the name “snowballs” in the U.K. and “spiders” in the land Down Under, where women work and men plunder. They are exactly what their name implies: ice cream served in a soft drink. 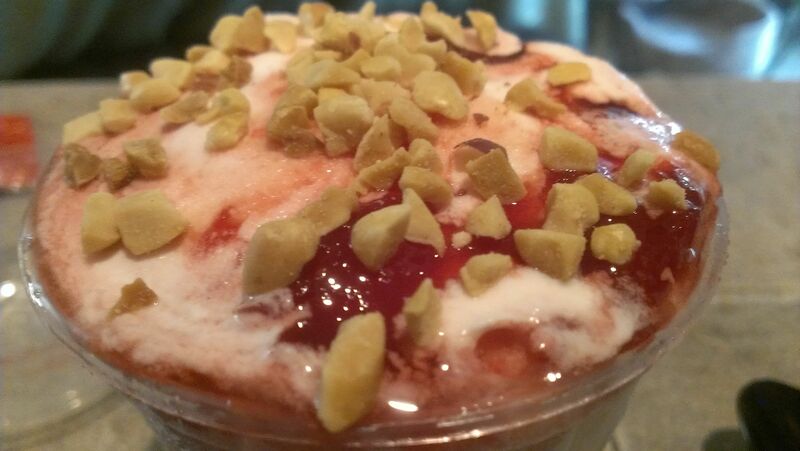 Ice cream sodas were invented in 1874 by Robert McCay Green in Philadelphia. According to legend, during that city’s sesquicentennial celebration, Robert ran out of cream for the flavored sodas he was selling on a particularly hot day, and substituted ice cream instead. But Robert explained in an interview that his creation was no accident: he wanted to invent a new treat to draw customers away from a competitor who had a bigger, fancier soda fountain. 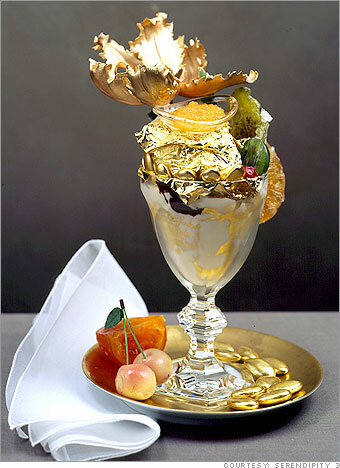 He experimented by mixing vanilla ice cream with soda water and a choice of 16 different flavored syrups. This new treat was a big hit, and Green was so proud of his invention, his will stipulated that “Originator of the Ice Cream Soda” be carved on his tombstone when he died. 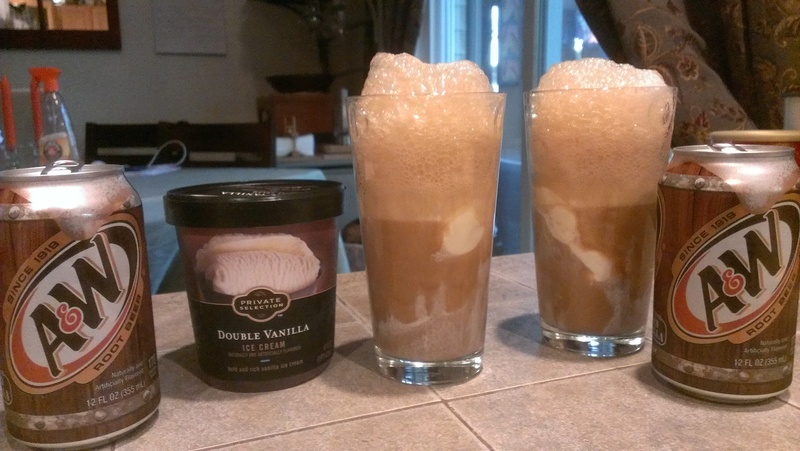 To celebrate, Tara and I made root beer floats. I mean, what other type of soda-and-ice-cream combination can ever top the classic?